Susan is a journalist who has covered Cambodia and the Middle East for Business Week, the Asian Wall Street Journal, San Francisco Chronicle and others. She has also taught journalism at universities in the Middle East and Eastern Europe, and in India as a Knight International Press Fellow. 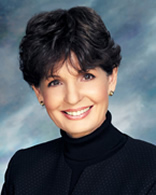 She began her career with AP, then moved to the Miami Daily Business Review. She was an editor and writer at the Phnom Penh Post and later an AP correspondent on the Khmer Rouge Tribunal. She co-authored Losing Ground: Forced Evictions and Intimidation in Cambodia. 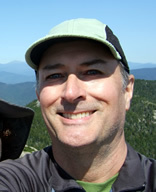 Prior to joining AWWP in early 2010, Stefan worked in a variety of jobs at Harvard University—molecular biology lab technician, copy editor, training coordinator, and web designer—while pursuing a degree at the Harvard Extension School. Now a freelance web designer, he lives with Resa Blatman, a painter, in Somerville, Massachusetts. He recently published a book about his half-aunt, the “child prodigy” Barbara Newhall Follett, who vanished when she was only twenty-five but left behind a trove of remarkable writing. Stacy is a former political aide who served five years in the Clinton White House. She is the author of a memoir, Government Girl: Young and Female in the White House (Ecco/HarperCollins) and the creator of The Katrina Experience: an Oral History Project, as well as the primary contributor to McSweeney’s Voices from the Storm: The People of New Orleans on Hurricane Katrina and Its Aftermath. She has also spent eight years teaching creative writing to students K-12 in Detroit, Houston, and New York City. Nancy has worked as mentor with the Afghan Women’s Writing Project since it began in 2009. She is the author of books and stories for children and young adults that have been published by Dial, Viking, Simon and Schuster, HarperCollins Australia, and Cricket Magazine. She earned an MFA in Creative Writing from Southern CT State University in 2013 and now writes for an older audience. Her short stories have been published in a variety of literary journals. 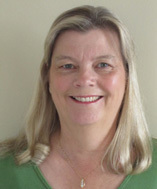 She has been awarded the SCBWI Magazine Merit Award and the CT Review Writing Contest Prize for Fiction. In 2014, she was a finalist in the William Faulkner/William Wisdom Writing Competition (short story). She has taught fiction writing for the Gotham Writer’s Workshop, The Mark Twain House Museum and Southern CT State University. 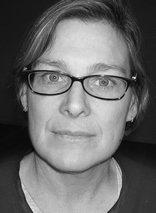 Kathryn provides management, control, and administration of fiscal operations for AWWP. She works closely with the Executive Director and the Board of Directors in budget development and determining long-range financial planning. Her primary responsibility is to ensure the organization is financially sound through accurate financial reporting, development and monitoring of financial policies, budget analyses and internal expense control mechanisms in the United States and Afghanistan. Kathryn began her career working for a public accounting firm after receiving her Bachelor of Science (Economics) degree and held senior finance positions in the private sector before opening her own accounting firm in 1992. 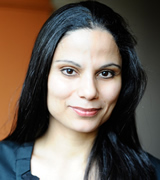 Mahnaz graduated from Middlebury College in 2013 with a Bachelor’s Degree in International Studies and Film Studies. Originally from Afghanistan, Mahnaz’s family fled to Iran during the Taliban regime when she was nine years old. After the Taliban left, she returned to Afghanistan and in 2009 moved to the United States to attend Middlebury College in Vermont. 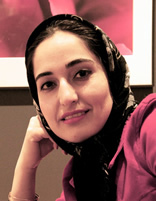 Mahnaz is a writer, filmmaker, and photographer. Currently, she works as a Dari mentor and facilitator for AWWP’s Dari Workshop. Pat is a Chicago writer, editor, journalist, and blogger whose work has been published in newspapers, books, magazines, and radio. Before moving to Chicago in 2006, she spent ten years covering law and the courts for Florida Trend magazine. 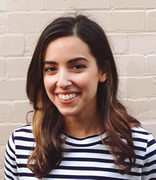 She currently works as a freelance writer, tutor, and writing coach. Her humor blog, Suburban Kamikaze, has been featured on NPR’s All Things Considered and was named one of BlogHer’s Voices of the Year in Humor in 2010. 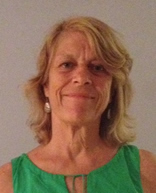 Pamela is writer in residence at the Katonah Museum of Art, NY, where she manages a visual literacy arts in education program. She was awarded a creative writing poetry fellowship in 2013 from the National Endowment for the Arts to complete a manuscript of poems, Penelope at the Shooting Range. She was a poetry fellow at the SUNY Purchase College Writers Center in 2011. Toadlily Press published her chapbook, The End of the Body. Her work has been published in a variety of online and print journals. 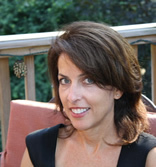 Mary has a Master’s degree in English from Notre Dame de Namur University in Belmont, CA. She has published articles in Youth! and Parenting for High Potential magazines and the Acta Astronautica journal, and is currently at work on a historical novel. She enjoys helping other writers grow in their craft and she has been involved with AWWP since 2010. She has three grown children and lives in Las Vegas, Nevada with her husband, dog and cat. 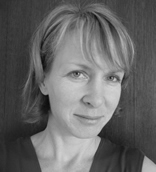 Katherine holds a PhD in Botany and Ethics from the University of British Columbia and works as a freelance writer and editor. She recently returned to Nova Scotia, Canada, after four years in Cape Town. While in South Africa, Katherine wrote a monthly column on motherhood called Mother City Mama. She currently pens a column on food and family for the US magazine Literary Mama. 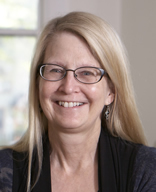 Katherine has published essays, short stories, and numerous academic articles. Leath is a freelance writer from Vermont and currently lives in San Francisco. Leath’s work has appeared in The Sun, Orion, Sierra, and the New England Review, among other magazines. He’s received awards from Colorado College, where he studied philosophy, and the Bread Loaf Writer’s Conference. In addition to writing, he tracked hawks on the Grand Canyon’s North Rim for the US Forest Service and shoveled snow at the South Pole for the US Antarctic Program. Donna is a poet and an English teacher. 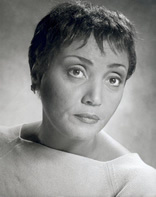 A graduate of Stonehill College and Howard University, she has contributed to scholarly books and journals including Shakespeare Set Free, published by the Folger Shakespeare Library, English Journal, and Teacher’s Digest. She chairs the English Department at St. Albans School for Boys. She is the author of the poetry chapbook, The Lover’s Voice (1997) and a book, Broken Like Job (2005). Her poems have appeared in anthologies—Full Moon on K Street; Hungry As We Are; WPFW Poetry Anthology; Weavings 2000—and magazines: Provincetown Arts, Gargoyle, World Order, Innisfree Journal of Poetry, Orison, and Beltway Poetry Quarterly, Volume 12, Number 2, Spring 2011.